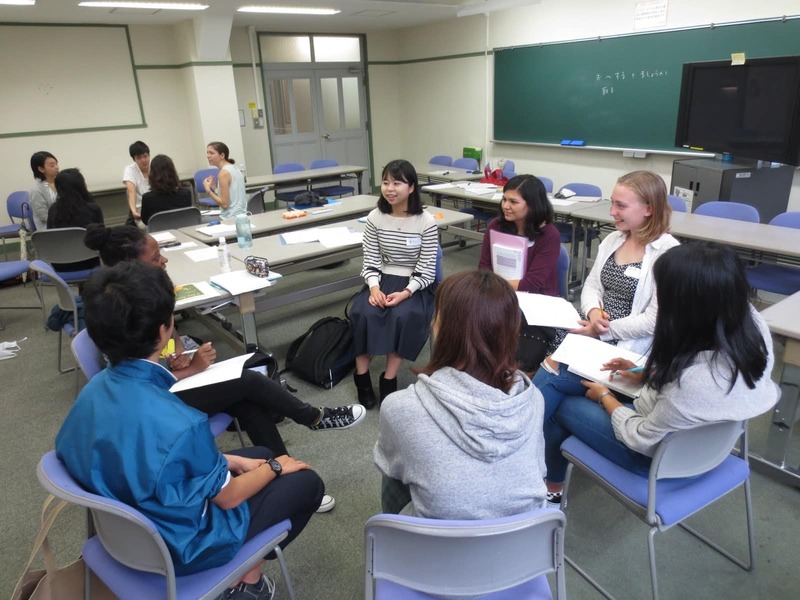 Oyama-sensei’s class met with Doshisha volunteer students for a discussion. The topic was comparing annual events and holidays. 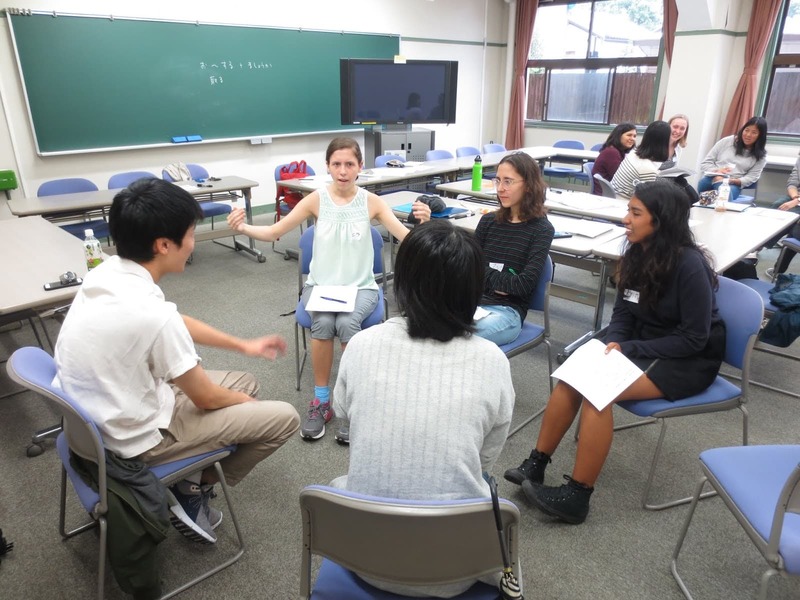 Students were separated into two groups and spoke about their experiences during various holidays, and the differences between how they were celebrated in America and how they were celebrated in Japan. Doshisha volunteer students, thank you for joining us!